Sometimes you hope what you teach your children sinks in. It takes time and all you can do is wait to see if the instructions are heard and followed. 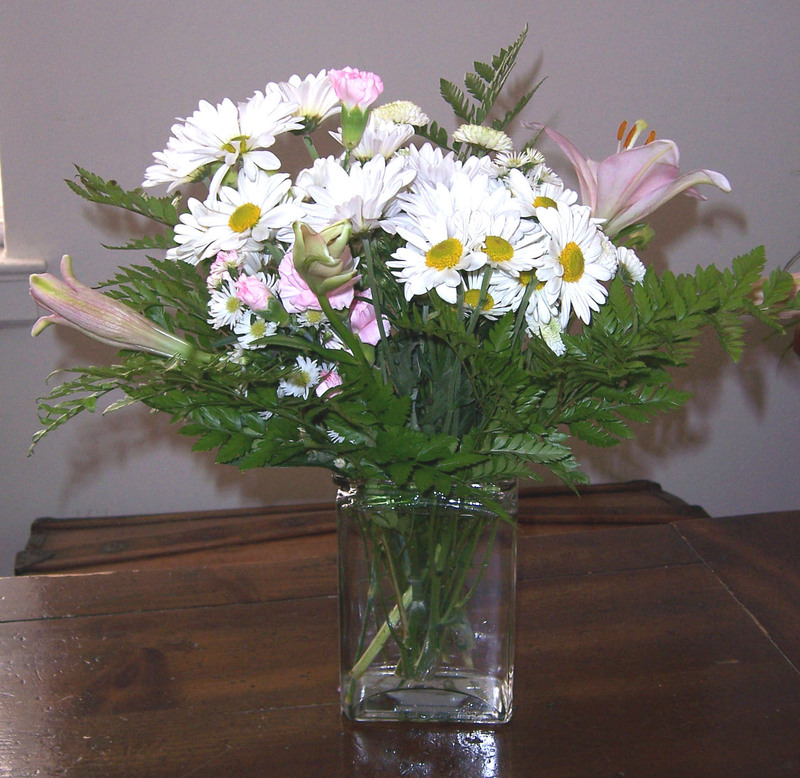 This Mother’s Day my wife received some very nice flowers from our two adult sons. I did not remind them or tell them that Mother’s Day was coming. They both live quite a distance away, so we have no family near us. Both of them work and are quite busy with everything going on in their own lives. I appreciate the love they showed their mom. This is not the first time they have blessed their mom and I’m sure it won’t be the last time either. 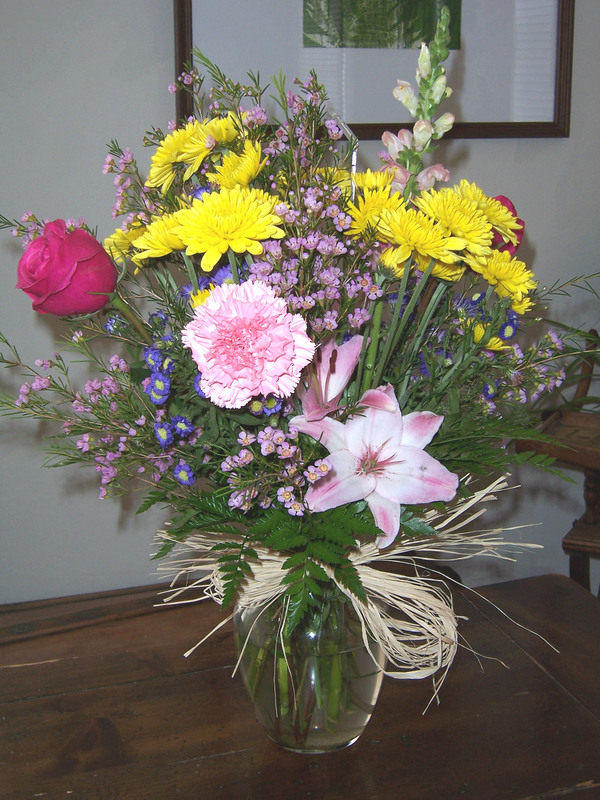 The flowers from our youngest son arrived on Friday. The flowers from our oldest son arrived on Saturday. There were also nice phone calls and notes. My wife was blessed and happy as only a mom can be. Thoughtfulness never goes out of style. Showing appreciation never gets old. Loving in a practical way is always the greatest of all. I love and am proud of both of my sons. Both of you are good young men. I hope all of my readers had a good Mother’s Day. Stay faithful and hopeful. I’ve told many people over the years that I had a good mother. She wasn’t perfect, but she was a good mom. She loved my two sisters and my brother and me. She accepted us for who we are. She encouraged us and wanted us to succeed in life. When we made poor choices and caused her pain, she forgave us and didn’t hold a grudge. She sacrificed her comfort for her children. She did all of this while being unsaved. God in His Sovereignty blessed me and my brother and my sisters with a good mother. She was friendly, outgoing and giving. She honestly cared about other people. She helped and befriended black people before the civil rights and political changes. There were times she had the opportunity to befriend and help immigrants who were new to our country and she did. Again, all this while she was unsaved. Then on November 18, 1989 she got saved. This good hard working, friendly, loving woman realized she was a sinner before a Holy God and she humbled herself and asked Him to forgive her of all of her sins. She surrendered and accepted Jesus as her Lord and Savior. Now, I’ll stop here. I’ll try to write more about her on Saturday in honor of Mother’s Day. She died almost four years ago three days past what would have been my youngest sister’s fortieth birthday. I’m not overly sentimental or sappy. I don’t have tears in my eyes as I remember her and write this. I don’t need a group hug. But I still love her and respect her and know that one day in the future I will see her again. That future day will be a great family reunion! To any men reading this, you still have time to go out and get your mother a card and mail it to her. You still have time to do something nice for her. You still have time to call her on Mother’s Day and let her know you appreciate her. Now I’ll share one of her favorite hymns. 1. When the trumpet of the Lord shall sound and time shall be no more, And the morning breaks eternal, bright and fair; When the saved of earth shall gather over on the other shore, And the roll is called up yonder, I’ll be there. (Refrain) When the roll is called up yonder, when the roll is called up yonder, when the roll is called up yonder, when the roll is called up yonder, I’ll be there. 2. On that bright and cloud-less morning when the dead in Christ shall rise, And the glory of His resurrection share; When His chosen ones shall gather to their home beyond the skies, And the roll is called up yonder, I’ll be there. 3. Let us labor for the Master from the dawn to setting sun, Let us talk of all His wondrous love and care; Then when all of life is over, and our work on earth is done, And the roll is called up yonder, We’ll be there. These are just some of my thoughts and what this hymn reminds me of. I hope you have a good weekend and a good Mother’s Day.